Happy Halloween folks! We hope your costumes and candy are ready for tonight. Unfortunately some of us still have work tomorrow, but thankfully there’s only one day left of the work week! Check out ABCey‘s Weekend Lineup for more Halloween festivities that will carry you through the weekend. 1. 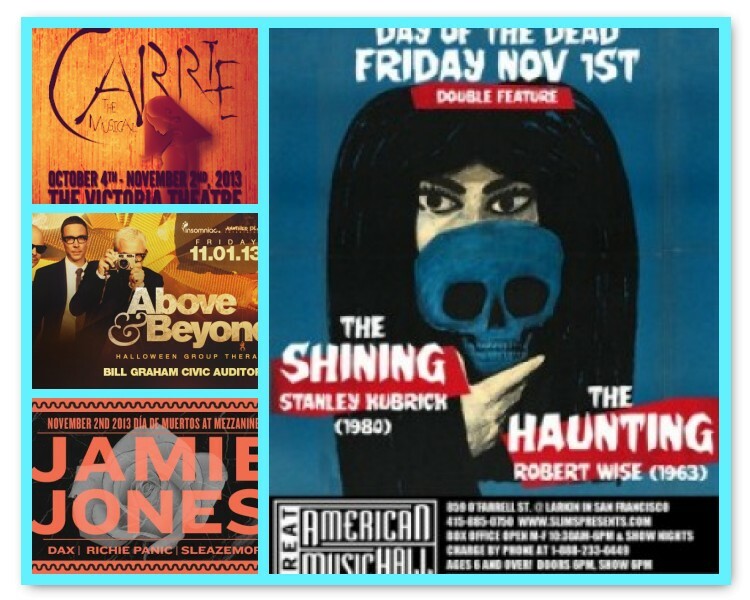 Creature Double Feature | Friday, November 1st | 6pm | Great American Music Hall | Don’t feel like partying out on the town? Well luckily we’ve got a few scary movies to keep your Halloween spirit alive. Head on down to the Great American Music Hall to watch not one, but two films! They will be showcasing the classic horror films, The Shining and The Haunting. 2. Above & Beyond Halloween Group Therapy | Friday, November 1st | 7pm – 1am | Bill Graham Civic Auditorium | Have a post Halloween celebration with trance music’s most revered trio! Above & Beyond’s immense and ambitious live performance is sure to keep you entertained all night long. 3. Lights Down Low | Saturday, November 2nd | 9pm – 2am | Mezzanine | Come out to Mezzanine to celebrate Dia De Los Muertos and the ending to another great Halloween weekend. Some of the hottest DJs will be in-house, so come dressed with your best face paint and dance the night away! 4. “Carrie” The Musical | Saturday, November 2nd | 2pm | Victoria Theatre | Based on Stephen King’s best-selling novel, Carrie has been reworked and remade into the newest Broadway show. See what happens when a high-school outcast discovers her chilling powers, and what she decides to do with it. 5. Free Dive Bar BBQ | Sunday, November 3rd | 3pm – 7pm | Bender’s Bar & Grill | Did I hear someone say free and BBQ in the same sentence? Sign us up! Considering Sunday is the only day the kitchen is closed, come take advantage of these offerings. If that’s not enough, they’ll have a special for their beers and margaritas. There’s also an awesome juke box and pool tables to keep you entertained all day long. Do you plan on attending any of these events? Let us know where you’re headed by leaving a comment below or on Facebook & Twitter. With Halloween only a day away, make sure your house is all set for trick-or-treaters and any parties you have planned. ABCey has gathered 5 easy DIY’s that you can add last minute to make sure your decorations are top notch! 1. 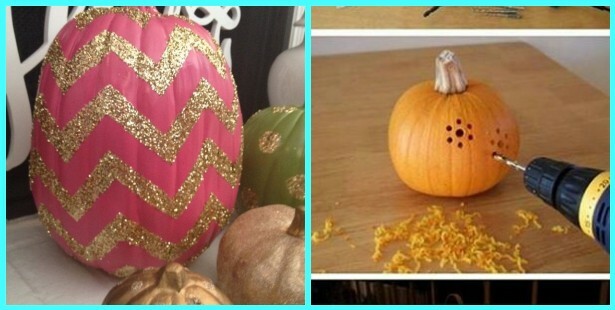 Pumpkins | You may not have time to carve pumpkins anymore, but we love the simple idea of painting your pumpkins or drilling holes in them to use with candles! Both take little effort and time and look great! 2. 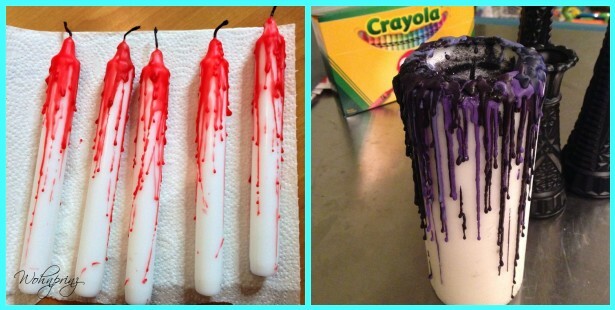 Candles | These ghoulish candles make for the perfect party accents and are so easy! All you have to do is light a candle and when the wax melts, let it drip over another one and ta da! 3. Banners | These banners are super easy and look great draped over a table or a staircase! 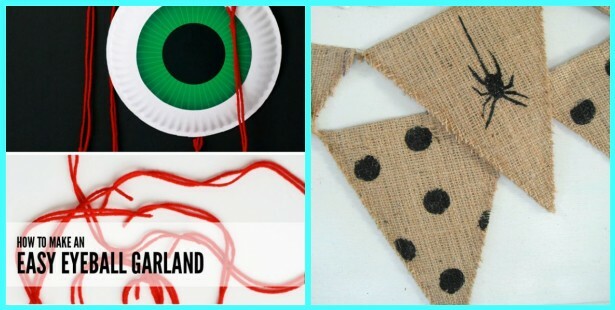 We love the eyeball one made with just paper! 4. Treats | These crowd pleasing favorites are a safe go-to. 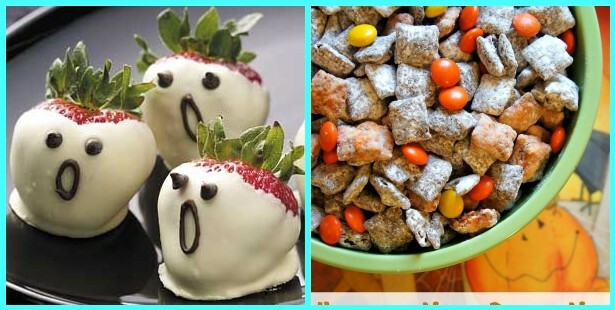 Our favorite is the ghostly strawberries! For the Muddie Buddies, just use colored chocolate chips to get that Halloween vibe! 5. 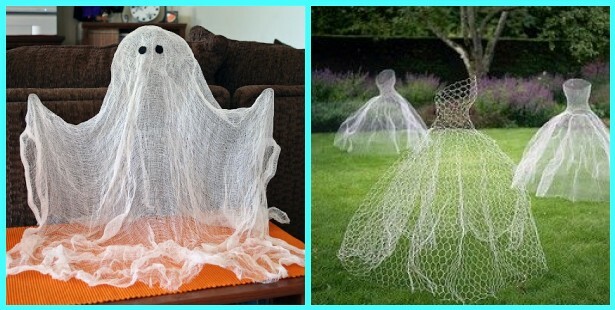 Floating Ghosts | These decorations look high end but are so easy to recreate and only take a few supplies. Which of these cool ideas will you try?! Let us know in the comments below or on Facebook & Twitter! Make sure to stay updated with ABCey for event posts, ideas, and tech news! Thanks to mobile technology, almost anyone can act as a photographer using their phone. People can easily post pictures all over Facebook, Instagram, or share in their personal group chats. With so many different platforms, it’s sometimes difficult to capture all of your photos in one spot. Thankfully, a new app called Memory Meld may be able to help! Memory Meld allows users to capture, preserve, and share their memories safely. All pictures are uploaded directly to a private event page where guests can either upload more photos, or download ones already posted from others. This is especially great for event organizers so they don’t have to bug everyone individually to send their photos. All the organizer has to do is visit Memory Meld and create a new event. Once an access code is created and shared, users are free to upload whenever they want. The app works well for weddings, birthday parties, family gatherings, concerts, sporting events, and work outings. 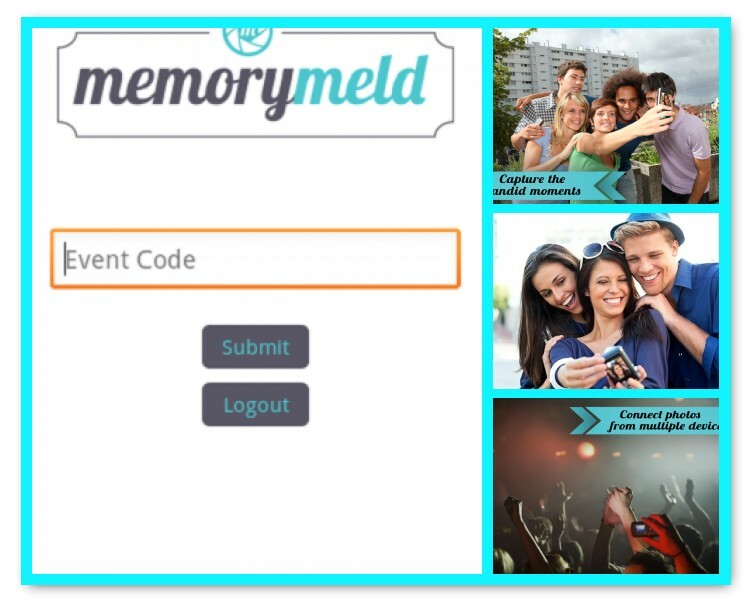 Be sure to give Memory Meld a try at your next event! Let us know what you think in the comments below or on Facebook or Twitter! Startup Monday is ABCey’s weekly post that features some of the best and brightest companies in the Bay Area. They are often companies that we have our eye on or have worked with in the past that we would like to share with friends and followers of ABCey Events. A perk of being an event planner is having the ability to be invited to so many great events. What better way to thank your host, than to give them a gift? Instead of giving a box of chocolates and flowers, let San Francisco’s newest start-up company Karma help you make things more personalized. 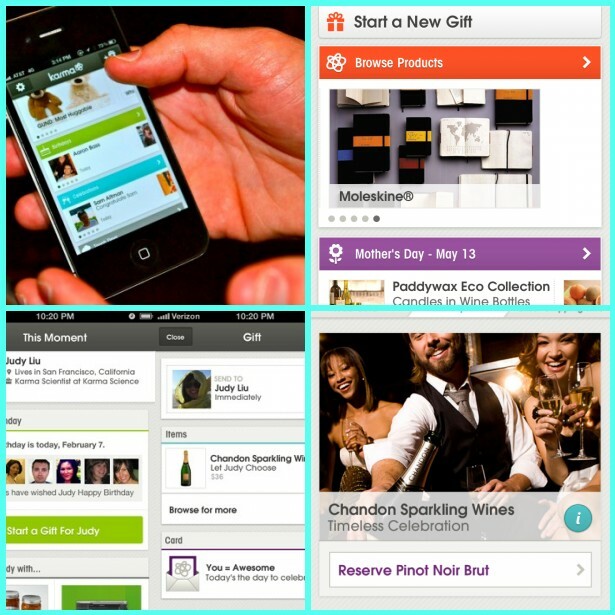 Founded in 2011, Karma is the newest social mobile gifting service. It lets you give gifts to others just by using a mobile device. First, pick a card to go with the gift. Then the recipient will be notified via Facebook, email or text. You don’t even need to bother them for their address. When the gift is finally received, the recipient can choose which color, flavor, or style of gift they want. Another great thing about Karma is that recipients have the chance of swapping a gift or donating to charity. You can consider this the gift that keeps on giving. I know what you’re thinking, “I don’t want them to know that I exchanged or donated the gift”. Don’t worry, Karma doesn’t tell if the recipient does either. The Karma app is currently available at the iTunes app store and Android market. They have also partnered with great companies like, Domaine Chandon, Kate Spade, and Magnolia Cupcakes. Next time you gift, have Karma help you decide what to send! Let us know if you’ve tried this service in the comments below, or on Facebook or Twitter! At ABCey, we are always on the lookout for the BEST events here in San Francisco, even if they aren’t our own! Tomorrow night, Project Inform is hosting their annual gala, Evening of Hope – A Night of Lifesaving Fashion at the City View at Metreon. Come sip champagne overlooking the San Francisco skyline as you see their stunning “Condom Couture” designs come to life! For those of you that haven’t heard of Project Inform, they are a San Francisco based non-profit that provides information, Inspiration, and Advocacy for People with HIV/AIDS, and Hepatitis C.
A limited supply of tickets is still available, but this event WILL sell out, so get yours now while you still can! This event is San Francisco’s must-attend fête complete with cocktails, culinary delights, VIP designers and after-party. If helping others out and having a great time aren’t good enough reasons to go, Project Inform’s Facebook page lists 10 reasons not to miss! 10. You simply MUST know what all this #condomcouture buzz is about! 9. You absolutely HAVE TO see Heklina own the runway. 8. You are literally COMPELLED to move to the beats of djDCM & Dj Kidd Sysko! 7. You CANNOT go on living without that McQueen steam-punk pump custom-printed on a My Trick Pony t-shirt. 6. You are OFFICALLY obsessed with winning one of the incredible live auction prize packages! 5. You can CLEARLY visualize a tarort card reading in your future. 4. You really REQUIRE a Macy’s gift bag with Ghirardelli Chocolate Company goodies & the latest scoop from San Francisco Magazine. 3. You kinda NEED to cry out “Lights, Models, Guest List!” as you sip on a glass of Korbell. For more info on Project Inform, please visit their website, or follow them on Twitter @Project Inform. #eoh2013 Can’t wait? Click here for photos from last year’s event. Let us know your thoughts on Project Inform in the comments below or Facebook & Twitter! Can you believe it’s already Thursday? That means we’re only one day away from getting our weekend started. Let ABCey help you decide which event to attend. We’ve got everything from a roller skating DJ party to a pet costume contest! 1. Final 2013 Off the Grid Party & Masquerade | Friday, October 25 | 5pm – 10pm | Fort Mason Center | Embark on a mobile food adventure with 32 other food trucks at Fort Mason. It is the last one scheduled for this season, and they’ll be celebrating it in style. So don’t forget to bring your masquerade mask! The event is totally free, but don’t forget cash for the food trucks. Also make sure you visit the witches bar and try some amazing Pumpkin Ale. Let us know how you like it! 2. Friday Night Outdoor Roller Skate DJ Party: “Midnight Rollers” | Friday, October 25 | 8:45pm | Ferry Building | If you’re looking for a unique way to experience the night life around San Francisco, this is perfect for you! Skaters meet up outside the Ferry Building then go on an awesome 10 mile skate tour around the city. Some stops include Pier 39, Palace of Fine Arts and AT&T Park just to name a few. So come bring your skates and ditch your usual Friday night gym routine! 3. Noe Valley Harvest Festival | Saturday, October 26 | 10am – 5pm | 24th St. and Sanchez St. | It’s a family affair at the 9th annual Noe Valley Harvest Festival! There will be non-stop entertainment for children and adults. They’ve got live bands playing all day. There will also be a pumpkin patch, a dog costume contest, dunk tanks and more. Make sure you stop by and bring the kids! 4. Wharf Fest 2013 | Saturday, October 26 |11am – 830pm | Fisherman’s Wharf | Just because there’s no fleet week this year, doesn’t mean we can’t have our own fun at the wharf! Enjoy a chowder competition, craft beer tasting, and a free screening of award winning film’s from last year’s San Francisco International Ocean Film Festival. Then top off your evening with an amazing fireworks show! 5. Pet Pride Day 2013 | Sunday, October 27 | 11am – 3pm | Golden Gate Park | Don’t think costumes are only meant for humans! Come out to Golden Gate Park and take part in the pet costume contest. If you don’t have a furry friend to dress-up, then maybe you can adopt one. There will also be a ton of pet vendors, as well as a pet trick competition. Come down and showcase your pet’s best costume! 6. 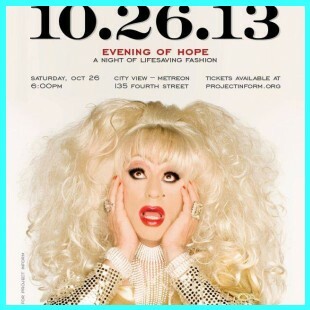 A special event, Evening of Hope | Saturday, October 26 | 6pm – 11pm | Metreon | This year featuring Heklina as our Misstress of Ceremonies, is San Francisco’s must-attend fête complete with cocktails, culinary delights. There will be gorgeous models wearing fashion with a message – one-of-a-kind Condom Couture designed by local and national designers. They will also have an auction with great prizes, such as a classic San Francisco night at the Four Seasons, a chartered cruise on the Bay, and so much more! Where do you plan to be this weekend? Sound off in our comments below or on Facebook or Twitter! Do you want an insider secret from ABCey that will take your events to the next level?? We are absolutely in LOVE with Studio Mucci, the brainchild of Oklahoma pair Amina and Salvatore Mucciolo. Whether you want to decorate your space, are hosting an event, or want to give a special gift, Studio Mucci can provide you with a whimsical alternative to the mundane. They offer an extensive selection of original items and are capable of customizing their products for your unique needs. Their luxury, hand-made paper decor and gifts are a must for any day ending in “y”! If the name sounds familiar, it’s probably because Studio Mucci has been featured in places like Parenting Magazine, Babytalk Magazine, Babiekins, Emma Magazine, Romantic Homes Magazine, Oh The Lovely Things and more. Their extra large and colorful balloons can be used at any event and are sure to grab attention. (We used them at our last event to create a walkway). Not to mention, they serve as great props for photobooths! 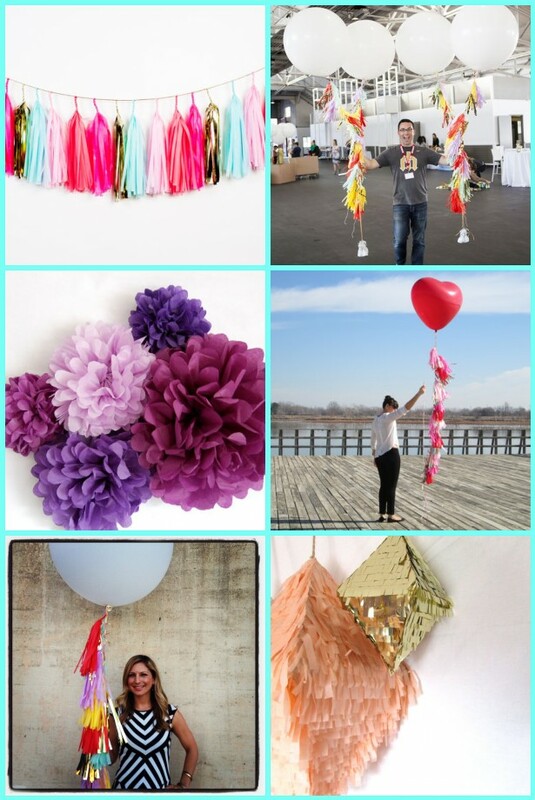 Studio Mucci also creates beautiful tassel garlands, and even super fancy piñatas. We love the tassel garlands so much, we even use them as home decor for a little pop of color! The possibilities are endless and their customer service is fabulous! They are able to accommodate last minute orders to meet your deadline and expedited shipping is available. To view or purchase their product line, check out their Etsy store. How will you use Studio Mucci?! We’d love to hear! Let us know in the comments below or on Facebook & Twitter. Planning an event involves many different elements. One of the most important and also challenging, can be the venue. Any experienced planner knows that the venue can really make or break an event. Speakeasy is a new startup that helps people find and book a space for their upcoming events! The best part about this company is that it works hand-in-hand with venues and event planners. You can use Speakeasy’s website to search and filter by type of venue, location, price, etc. After finding the perfect venue, you can then request a quote for free! Speakeasy can also help with listing your venue to help attract new customers! Speakeasy is a perfect site for event planners and venue owners to come together. Each company works independently and can charge their own rates. With its headquarters located in Oakland, they are set to help the Bay Area become a more fun and social place. How do you find and book your venues? Let us know in the comments below or on Facebook and Twitter! We are always looking for any excuse to have an event! This October, why not have some friends over for a pumpkin carving party? What better way to ring in the holidays and to relax with friends?! Here are 5 of ABCey’s favorite things we think you may need for this Halloween inspired event. 1. 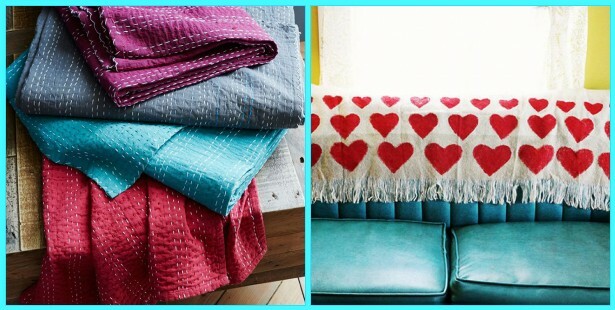 Blankets | We love all these blanket ideas from Brit+Co. So cute and warm, we can’t pick! 2. 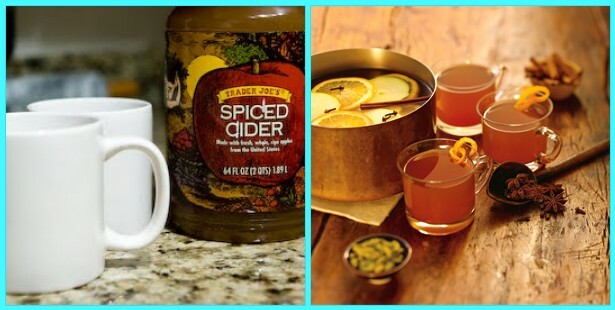 Warm Spiced Cider | Warm spiced cider is a must for any party past September. Our favorite is this one from Trader Joes! 3. 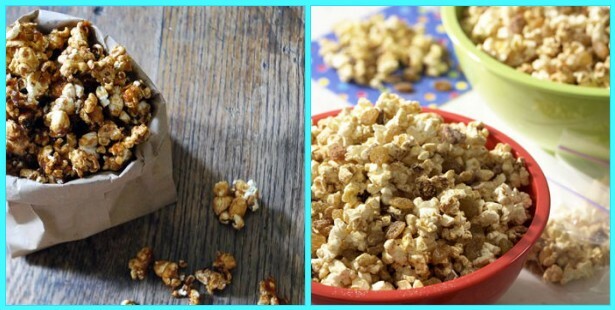 Pumpkin Pie Popcorn | Spice up this snack with the perfect fall flavor: pumpkin! Guests will love this fun take on the otherwise ordinary snack. 4. The Perfect Playlist | No party is set without the perfect playlist. 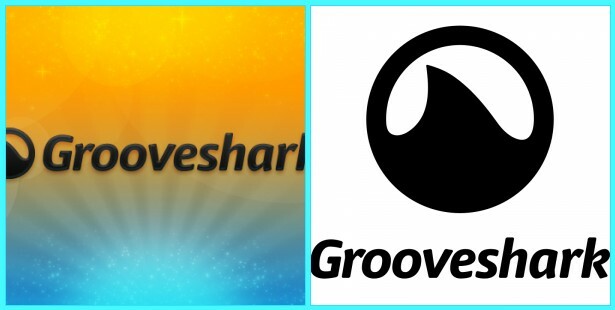 We like to use Grooveshark to make playlists and share them with our friends. 5. 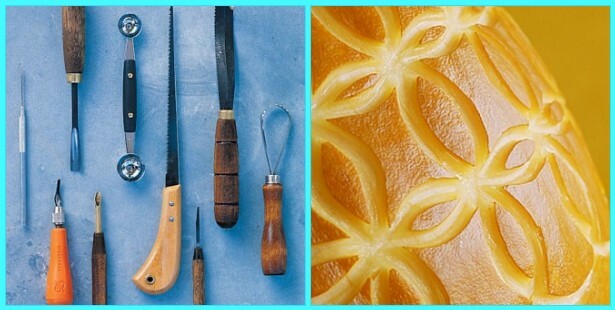 Pumpkins and Cutting tools |We love this article from Marthat Stewart with all the pumpkin tools you could ever need and how to use them! What are your must haves for a pumpkin carving party? Let us know in a comment or on Facebook or Twitter! Make sure to stay updated with ABCey for event posts, ideas, and tech news! Only two more days until the weekend. Come on, we know you can do it! To get it started, here is ABCey’s Weekend Lineup: the top five events we are most excited for. 1. 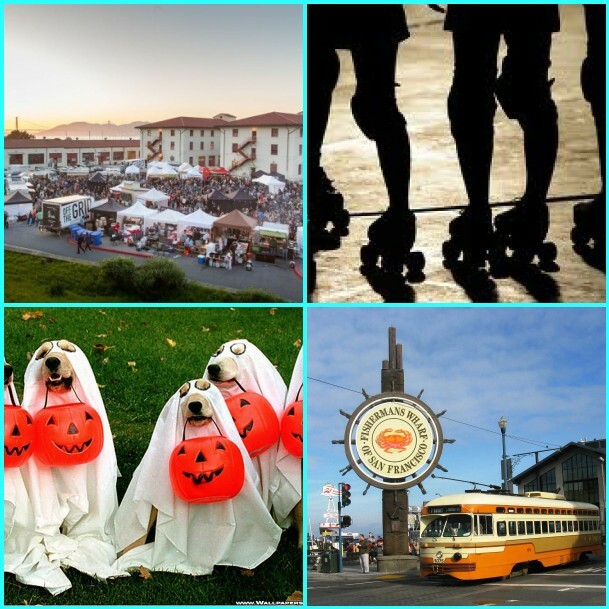 Pumpkin Festival & Parade | Saturday, October 19th – Sunday, October 20th | 9 a.m. – 5. p.m. | 501 Main Street, Half Moon Bay | This is the ultimate fall festival, and we are so excited! With the world’s largest pumpkin sculpture, pie eating contests, costume contests, and a pumpkin parade, it is sure to put you in the Halloween spirit! 2. 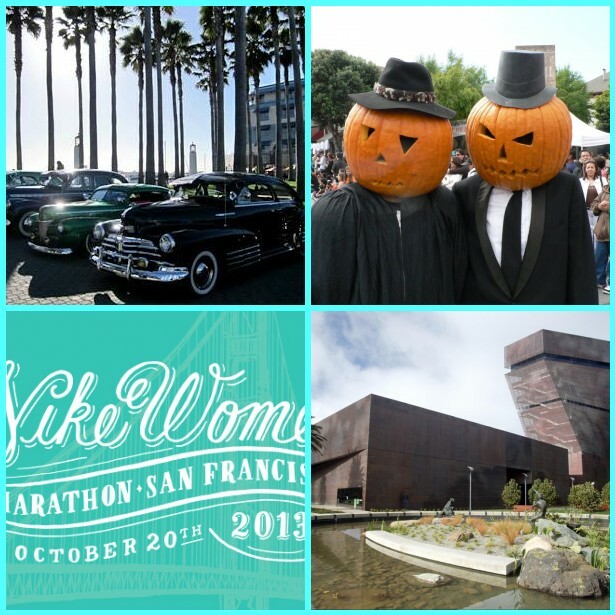 Classic Car Show | Saturday, October 19th | 10 a.m. – 4 p.m. | Jack London Square | Feeling nostalgic? Come check out iconic vintage cars from the 1920’s – 1960’s era. Some honorable mentions include Model A’s, roadsters, and Thunderbirds, and there will be live entertainment as well! 3. Fiesta on the Hill | Sunday, October 20th | 10 a.m. – 6 p.m. | Bernal Heights | This is a family friendly fall block party, hosting a petting zoo, pony rides, a pumpkin patch, and live music. The festival is open to everyone of all ages, and is alcohol free in order to emphasize family and the community. 4. Nike Women’s Marathon | Sunday, October 20th | 6:30 a.m. (race begins) | “I run to be.” On Sunday, thousands of brave woman will be induring 21.2 (or 13.1 for the half) miles of San Francisco hills and beautiful scenery. Make sure you head down to the finish line at Ocean Beach for post-race fun and excitement. And good luck to all the wonderful ladies running this weekend! 5. Friday Nights at the de Young | Friday, October 18th | 5:00 p.m. – 8:45 p.m. | de Young Museum Golden Gate Park | Friday nights at the de Young are a free weekly art party consisting of live music, dance performances, and film screenings. This week the theme is robots and festivities include multiple live performances, interactive robots, and a performance installation by Bad Unki Sista. It is going to be an amazing night so you should definitely try to check it out! Will you be going to any of these events this weekend? Let us know in the comments or on Facebook or Twitter!